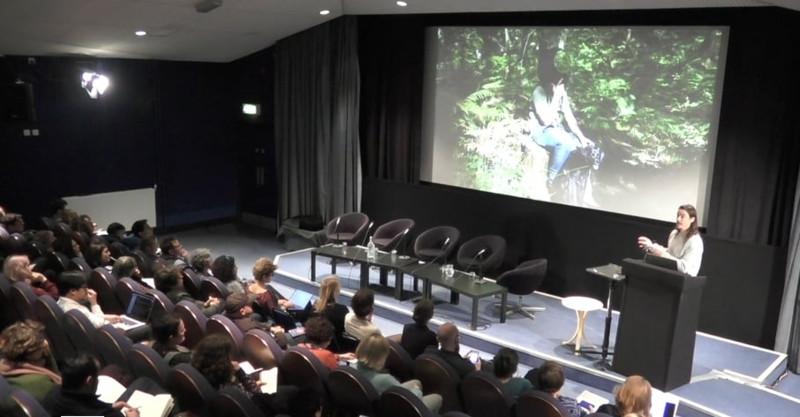 i-Docs was thrilled to host two arts media practitioners at the recent Symposium in March, in a double bill keynote: ‘At the Intersection of Technology, Art, Science & the Future’. Robin McNicholas, from award-winning creative studio Marshmallow Laser Feast, has directed myriad VR experiences and installations, and took the i-Docs audience on a journey through some of these works and their development. Following Robin, the audience heard from the co-founder of Hyphen-Labs, Carmen Aguilar y Wedge. Carmen discussed broadening the technological and social imagination through developing inclusive and innovative projects such as NeuroSpeculative AfroFeminism, which was on show during the i-Docs showcase, Immerse Yourself.